Singer 6180 is not that bad a machine but refurbished machines are not recommended. All the features are not ideal for beginners but it should work fine. 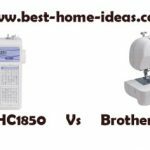 CLICK HERE to read what other users say about Singer 6180 Brilliance Sewing Machine. 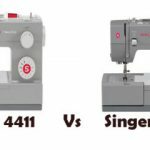 Singer 6180 is a mid-range, moderately expensive sewing machine. This machine belongs to the ‘Brilliance’ series of sewing machines rolled out by Singer. Does it have the so called ‘brilliance’ is a completely different question. Only a close review will reveal the pluses and minuses. However it has a striking design similarity with the Stylist 7258. 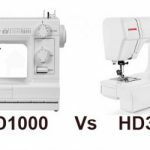 6180 is an 80 stitch sewing machine. The built-in stitches include 8 Basic, 58 Decorative, 8 Stretch and 6 one-step Buttonhole stitches. Even though Singer claims that this is a computerized sewing machine, it is not. You can call this a semi-computerized sewing machine. A fully computerized sewing machine must have a start/stop button and speed control slider, which Singer 6180 lacks. Push buttons are provided for stitch selection. Automatic stitch settings can be overridden for customization. 6.5mm is the maximum stitch width that can be attained on this machine. 6180 has an uncomplicated design to be honest, not a lot of buttons and levers are there. 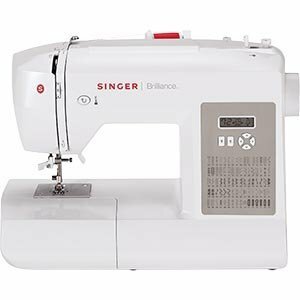 Singer 6180 has an automatic needle threader for easy needle threading. The extra clearance provided by extra-high presser foot lifter is always handy while working on multiple layers of fabrics. The presser foot pressure on this machine is set automatically. Automatic tension ensures consistent stitch quality. The automatic reverse button can be used for reverse and reinforce stitching. 6180 has 13 needle positions which provides sufficient control over stitch placement. The maximum sewing speed that can be attained is 750 stitches/min. The machine is free arm capable as well. It has a 25 year limited warranty cover. Singer 6180 is easy to use. As I have already said, it is a simple machine with even simpler design. The variety of stitches on-board is good enough for a beginner. The automatic tension seems to come out perfect for each type of stitch. The machine works fine on thick fabrics like denim as long as you use heavy duty needle for it. The side loading bobbin is a huge bummer especially in the era of modern top drop-in bobbin system. Beginners will always find side loading bobbin difficult to use. Performance wise, Singer 6180 is not that bad a machine. But I will not recommend you to buy factory serviced version of this machine. Many users have complained that they received defective machine, so stay away from that. Even if you decide to buy a new machine, it doesn’t seem like a good deal at all. 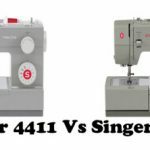 The reason is because you can get far more superior Singer 7258 for more or less the same price. Singer 7258 is a fully computerized sewing machine with features like 100 built-in stitches,start/stop button, speed control slider, drop-in bobbin etc. It is one of the best beginners machine you can get in U.S (By far the best from Singer). 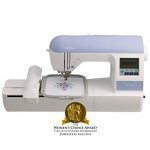 That is the reason why it won Women’s Choice Award for the best home sewing machine in America. It will be worth the money for sure.